Talk about international representation! 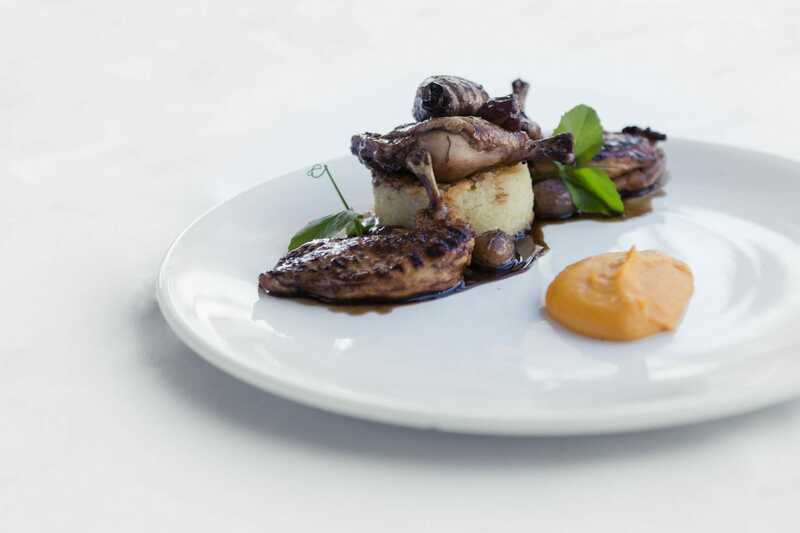 At the Pacific Bay Bayside Bar & Grill you can enjoy delicious food from the Filipino Head Chef, who prepares Italian cuisine, adores Spanish flavours, is inspired by a Japanese master-chef and now calls Australia home. As of late last year, Bonville Golf Resort and Pacific Bay (as well as Jonah’s at Whale Beach) have shared ownership. From the outset the goal was to zhoosh up the Bayside Bar and Grill inside and out (the restaurant, main building and reception have all been completely refreshed) and to create a menu that focussed on sourcing the best of fresh, local produce. 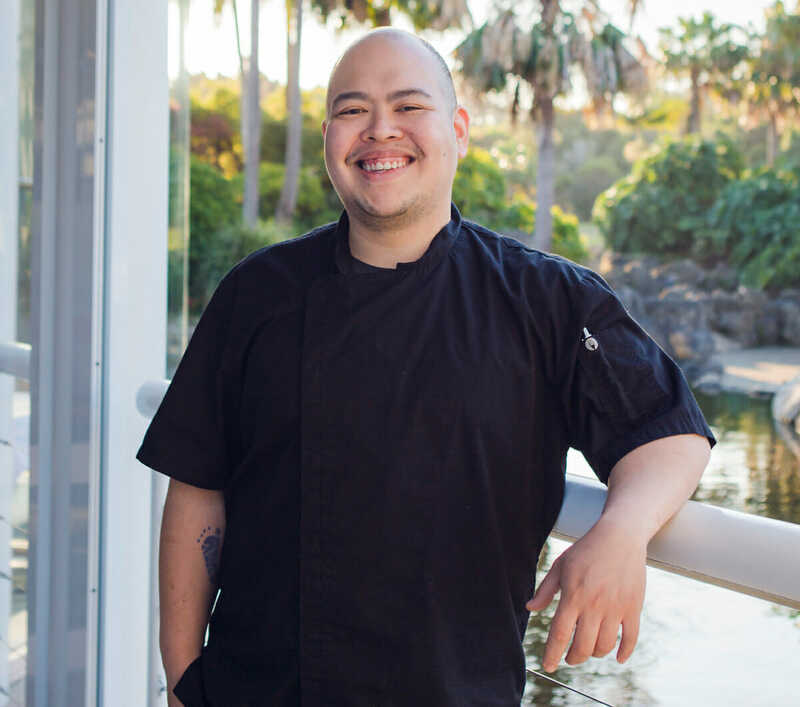 Chef Migo Razon made the move from Bonville’s Flooded Gums Restaurant to Bayside Bar & Grill in January this year and Coastbeat chatted with him. Migo, tell us about the opportunity to head up Bayside Bar & Grill? This was a step up for me from Sous Chef at Flooded Gums to Head Chef of Bayside. We are focussing on modern Australian cuisine with an Italian influence and it’s great to have input on the menu inclusions. We are looking at light, fresh food with something for everyone from a more casual menu in the daytime to a la carte dishes in the evening. We will also focus on al fresco dining. From the age of seven, I knew I wanted to be a chef. My mother and grandmother loved to cook. I was lucky that my family could afford to send me to culinary school in Manilla – the school was one of the best in the country. Australia was on my radar early on as I heard about the quality meats and produce available here. We did not have that kind of quality available to us in the Philippines and as a young chef, your goal is to strive for the opportunity that will enable you to work with the very best of ingredients. What’s your home cooking style? The kitchen at home is off limits! My wife is a wonderful cook and I only cook on special occasions. We get homesick, so we love to prepare Filipino food which is a different cuisine to anywhere else in the world. As we were colonised by the Spanish for hundreds of years, that has influenced our traditional dishes. A slow cooked dish called adobo is one of our favourites. We use meat mostly, but it also works well with seafood or veggies. Tell us about your favourite dishes from the Bayside Bar & Grill Menu? For lunch the Angel Hair Pasta with east coast prawns, chilli, garlic and parsley is one of the owner’s favourite dishes and was actually taken from Bonville’s menu due to its popularity. For dinner the Slow Roasted Lamb Shoulder is a must-try. The lamb shoulder is slow braised for six hours until fork tender. I also love the perfectly Grilled Spatchcock. This is finished off by braising it in Italian balsamic vinegar and chicken stock. It is accompanied by a creamy butternut pumpkin puree and a crunchy but soft on the inside risotto cake. 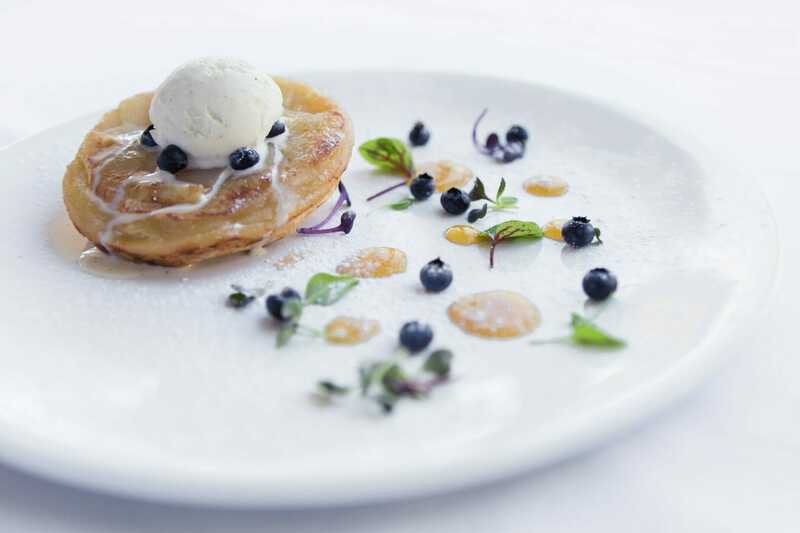 For dessert (available from both the lunch and dinner menus) our patrons are loving the Apple Tarte Tatin – a classic French dessert with granny smith apples and a flaky pie crust served with vanilla ice-cream and apple syrup. The Lemon Semifreddo is delicious too. This is the Italian version of a parfait. The sweet and sour semifreddo is partnered with a creamy vanilla anglaise and a crunchy, melt-in-your mouth meringue. What are your strengths as a chef? I think part of being a good chef is having to adapt in order to evolve and that is one of my strengths. I like to research by tasting food in the different cities of Australia and often visit Sydney and Melbourne to do so. I find Brisbane really up-and-coming with its food and the quality of produce out of Tasmania is amazing. 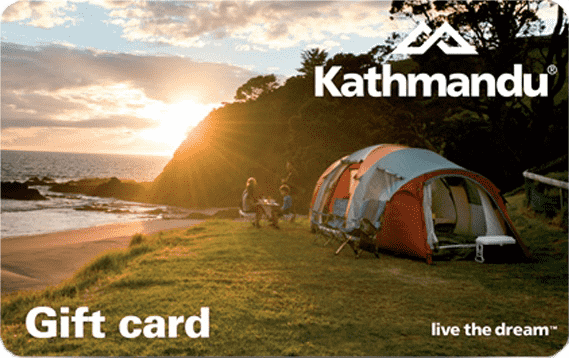 How do you find life in Coffs? We had lived in busy cities, so we had to adjust to the more relaxed pace, but we love it for our family. I have two daughters – my youngest is just a few weeks old. Being here allows us more family time which is great. We enjoy going to the beach and my four-year-old just took up fishing. Thanks so much for your time Migo. Bayside Bar and Grill welcomes Christmas Party bookings. For groups booking made before the end of October (10 people or more) all guests receive a complimentary glass of sparkling wine on arrival.